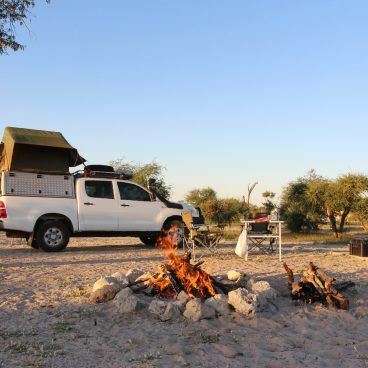 Savuti Campsite has 14 camping pitches with running water and good sanitary facilities. 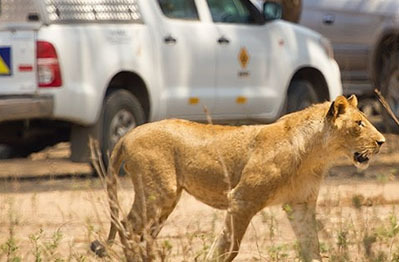 The campsite has no fencing, so there may be wild animals roaming around the campsite during your say. 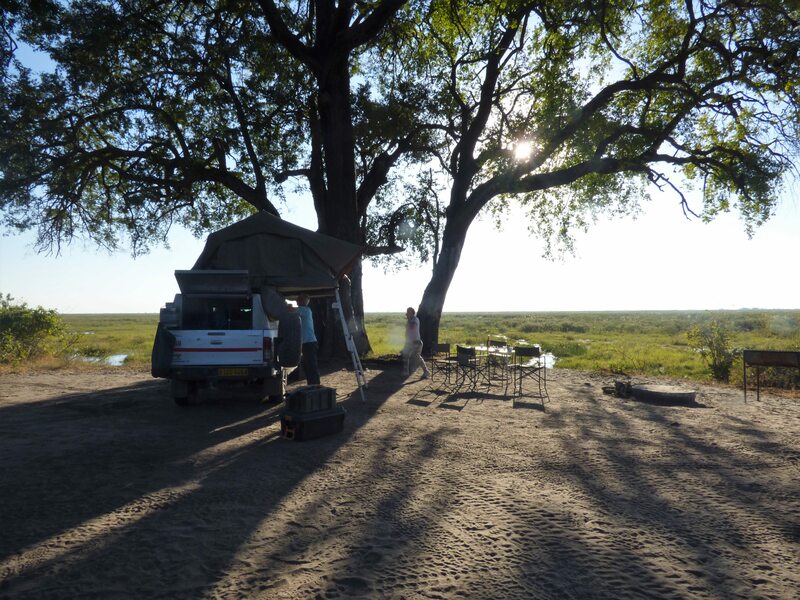 The camp provides a view of the Savuti Channel that has started flowing again after years of being dry. 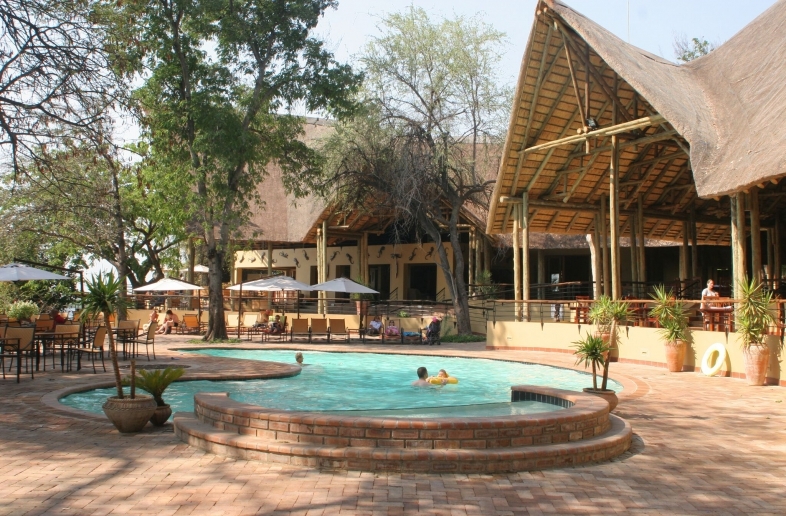 A beautiful base camp for exploring Chobe National Park. 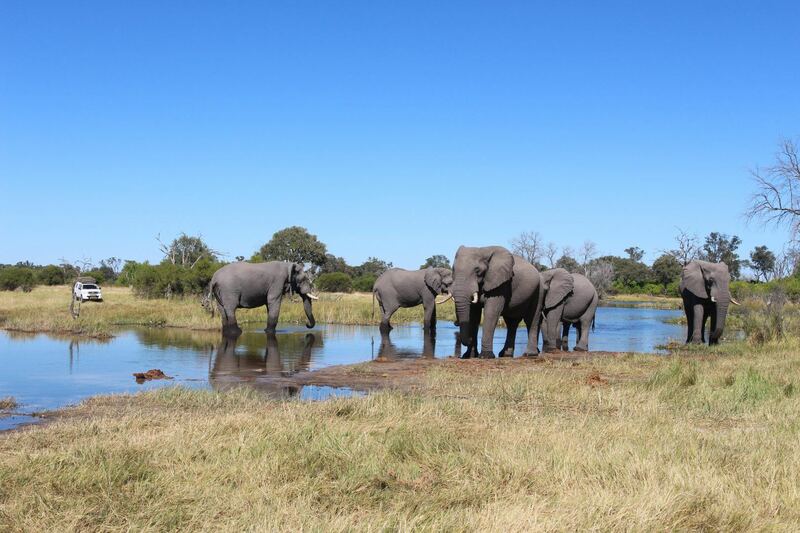 The area is known for the large group of Bull elephants which you will probably see during your stay at Savuti. 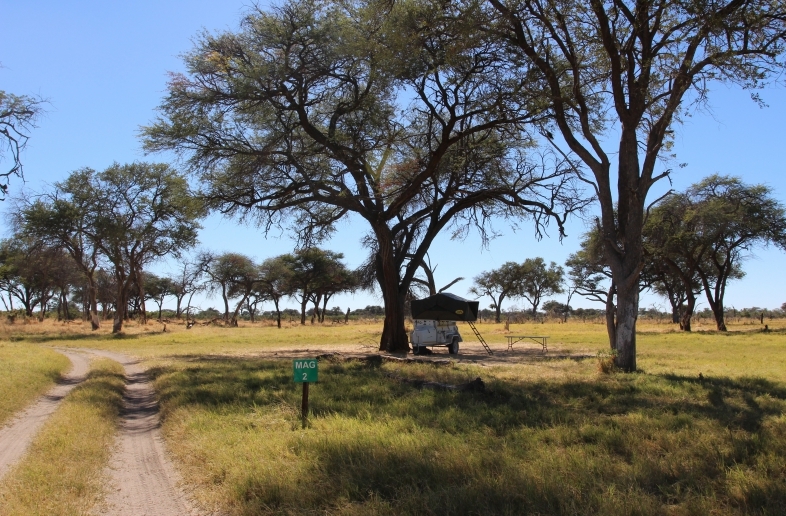 De camping pitches are spacious and very private. 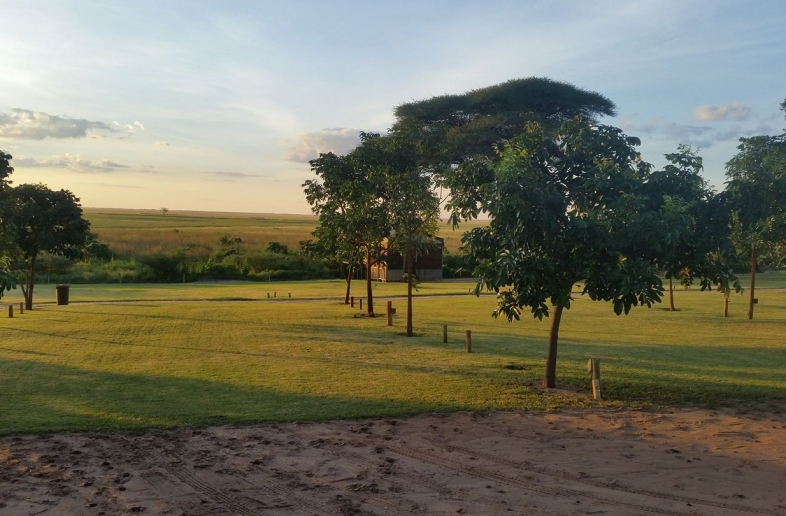 Each pitch has its own braai and the campsite has a fine restaurant. 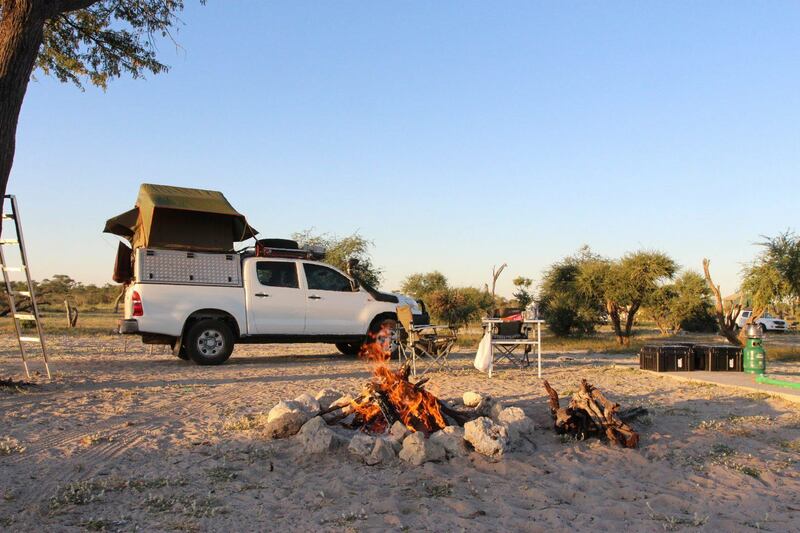 The camping is basic and beautifull. 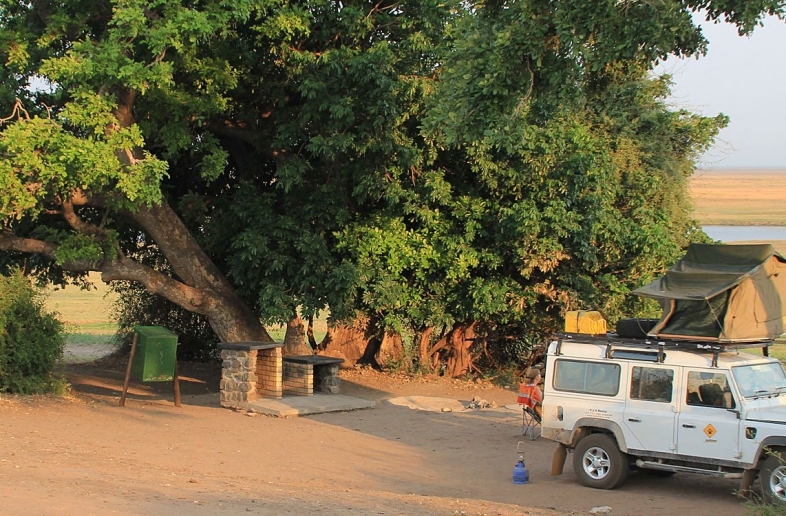 You will experience the real self drive 4×4 camping feeling at Savuti Campsite. 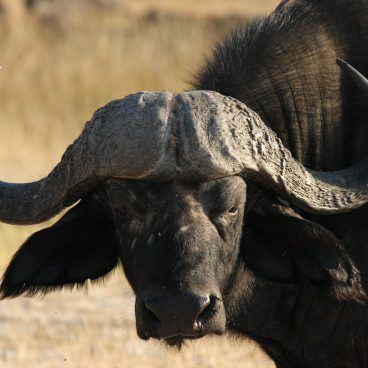 You can go on a game drive through Chobe National Park yourself or go out with one of the experiences guides. 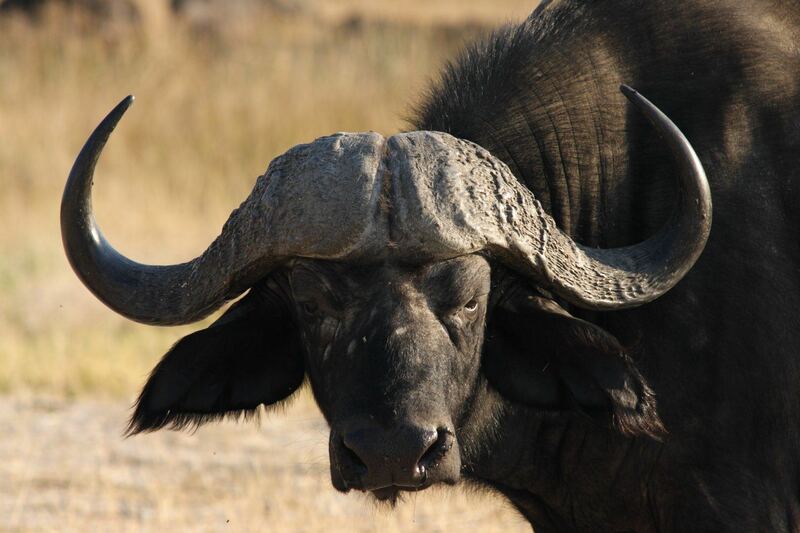 The Savuti camp offers several activities with experienced guides. 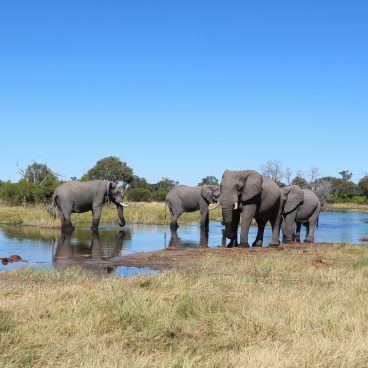 Another campsite within the borders of the Chobe National Park is Ihaha campsite situated on the Chobe River in the Northern part of the National Park. 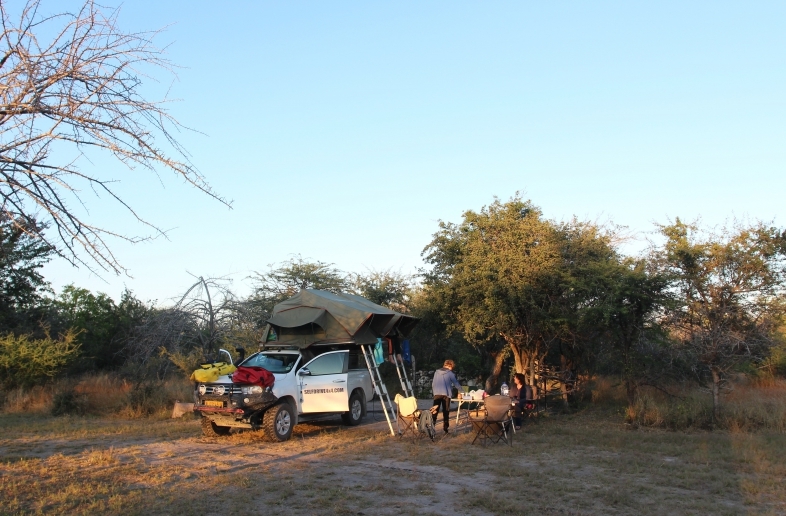 And not far from Savuti you can also find the Linyanti campsite.